That’s a map of all of the electrodes on our EEG nets, and the big blue circles overlay the electrodes that were part of my cluster. Hopefully it is apparent to you that this cluster has a topographically odd feature – the hole in the middle! Clusters don’t (generally) have holes like that – the correlation between adjacent electrodes is pretty high – and I knew from looking at the maps of overall activity that there wasn’t an activity dip in the center of that cluster. The particular electrode making up my hole was even more disconcerting because it is electrode Cz, the one that sits at the center of the top of the head, and when we record our EEG data that electrode is the reference. As data comes off the system, the trace at Cz is always zero, because measuring voltage requires a reference point. Although the data should have been re-referenced before the clustering algorithm, the worst-case “What when wrong here” answers involved the re-referencing having been lost, and that would be a major bug in an analysis that has been used already in several studies in the lab. Scary. It turned out not to have been that bug, but another issue entirely. 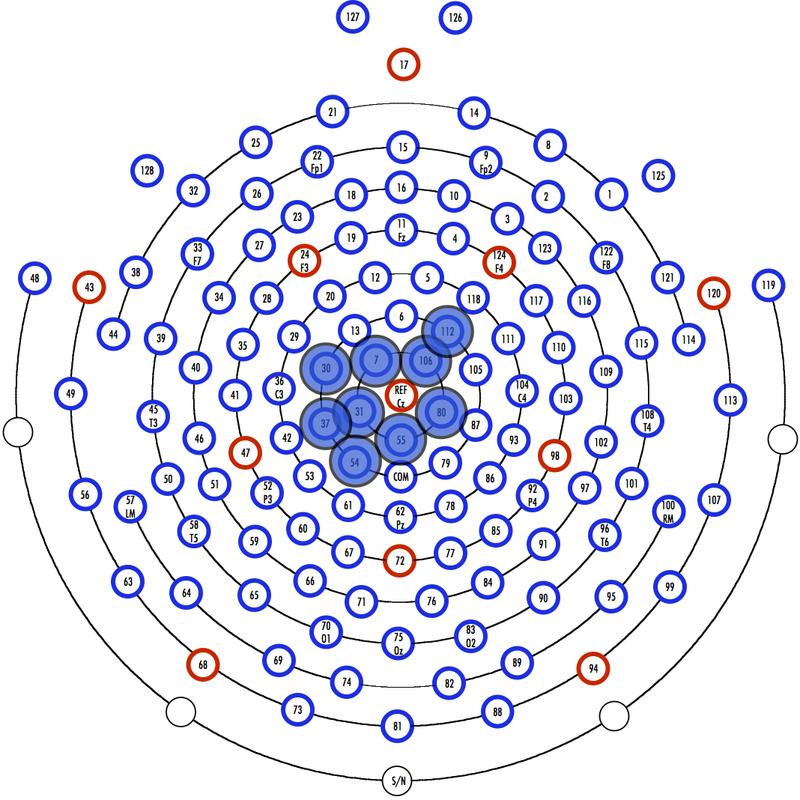 The first step in the clustering analysis is to take the spatial layout of electrodes, and define each electrode’s “neighborhood” – which other electrodes should be counted as “adjacent” to the electrode in question. The piece of code that does this takes in a list of names of electrodes you want to define neighborhoods for (in my case, all of them except the two eye-movement channels) and matches that list to a master list of electrode names and their positions. And in that master list, the electrode Cz was listed with its name as Cz’. Turns out, Cz and Cz’ don’t match, if you’re a computer, so Cz is never included in any neighborhoods, and so doesn’t turn up in the final cluster. Fixing the master layout list got me clusters including Cz, and all is well. This kind of thing really illustrates the importance of having a human being look at your output, and think about whether the answer the computer is giving is plausible. I’m still working on how to best teach students to bring their critical eyes to this kind of output, and not just assume that the computer is right. Part of it is just developing enough experience to know what the results “should” look like, but in a lot of cases students already have a great deal of knowledge to bring to bear. It’s the same reason that I plot really raw data as often as I can – I’m not necessarily going to publish these graphs, but understanding what’s happening in my data set is essential, both for sanity-checking and to develop a theoretical understanding of what participants, or their brains, are doing. I’ve been thinking about mirror neurons, lately, since a talk by a woman whose work presumes their existence and importance. Mirror neurons are the Higgs Boson of neuroscience, a phenomenon that is given greater significance by people outside the field than by people inside. A non-player tennis fan who’s never held a racket doesn’t sit baffled as Roger Federer swings his way to another victory. They understand fully what his aims are, even though they can’t simulate his actions with their own racket-swinging motor cells. Similarly, we understand flying, slithering, coiling and any number of other creaturely movements, even if we don’t have the necessary motor cells to simulate them. Jorge Cham, of the wonderful PhD Comics, has made a beautiful and fascinating chart of brain-related numbers. Click through for the full-res version. 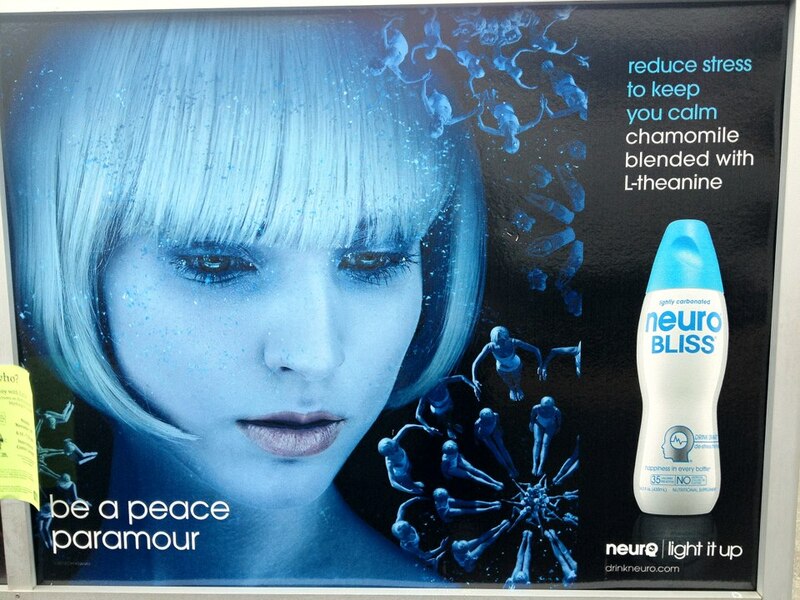 Neuro seem to have a whole range of these drinks, each with a different additive, a neurosciency gibberish explanation of why that additive will change your brain function, and a different targeted effect. A few years ago, a paper demonstrated that people are much more willing to accept explanations (even bad explanations) if a neurosciency clause is included. Shortly afterwards, another group showed that people are more likely to accept neurosciency explanations if the brain activity being discussed was shown on realistic brain pictures, as opposed to abstract images or bar graphs. 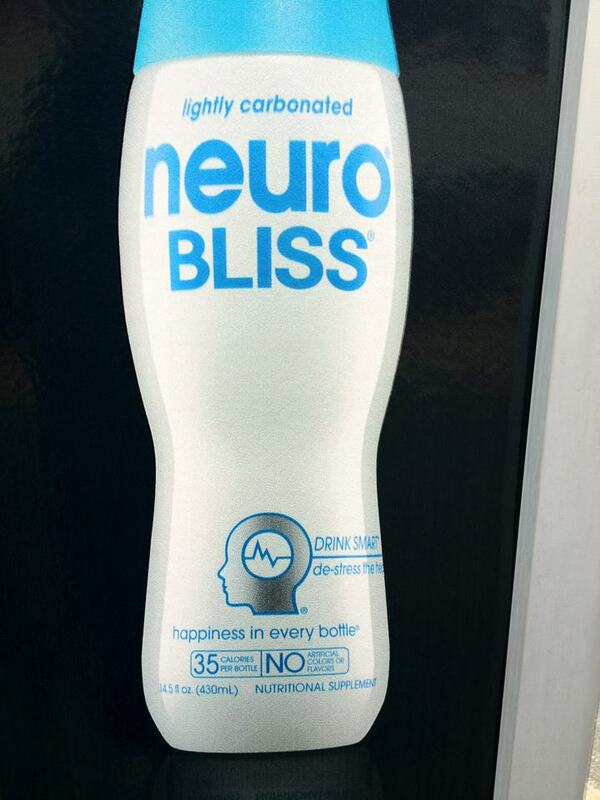 Besides calling their brand “neuro”, these guys have a cute little “EEG activity in the brain” logo, and their website has the slogan “light it up”. Scarily impressive use of the metaphors and descriptors that are used to describe localized neural activity, even by those of us who should know better. When I posted these to Facebook this morning, one friend said, “I’m not sure whether to be skeptical about their ability to actually modify neurotransmitter availability, or seriously concerned about people actually changing their brain chemistry in untested and unregulated ways.” I think this pretty well sums up my feelings too.